It is my belief that for Japanese businesses to find solutions for competitive advantages and profitability in the 21st century we must have the flexibility to respond to the ever-changing global environment and fortify the key resources latent in the Japanese society. 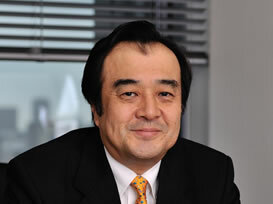 Japanese companies must operate on a global vision in order to achieve steady growth. Foreign Policy Institute is dedicated to provide our customers with fact-based, hands-on information on various regions of the world to identify opportunities to improve competitiveness. Kunihiko (Kuni) Miyake was born in 1953. 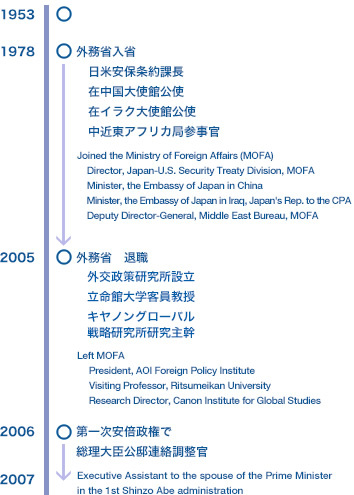 He joined the Ministry of Foreign Affairs of Japan in 1978, and experienced many posts including the following: Division Chief of the U.S.-Japan Security Treaty Division; Minister of the Embassy of Japan in Beijing; Minister of the Embassy of Japan in Baghdad. After he served as Counselor of the Middle-eastern and African Affairs Bureau, he resigned the ministry and became president of Foreign Policy Institute. He is Visiting Professor of Ritsumeikan University of Kyoto and Research Director at Canon Institute of Global Studies (CIGS). He has also served as advisor to the spouse of the Prime Minister in the 1st Shinzo Abe administration.